This opportunity Available at our head office at Colombo 02 is for self – motivated achiever with excellent communication and data analytical skills, The selected Candidates will get the opportunity to be part of an energetic team that work in a challenging work environment. – Previous experience in data entering and general administration in a HR environment will be advantage. – IT literacy is a must while exposure to computerized application package and ERP system is preferable. – Courteousness in handling customer and service providers. 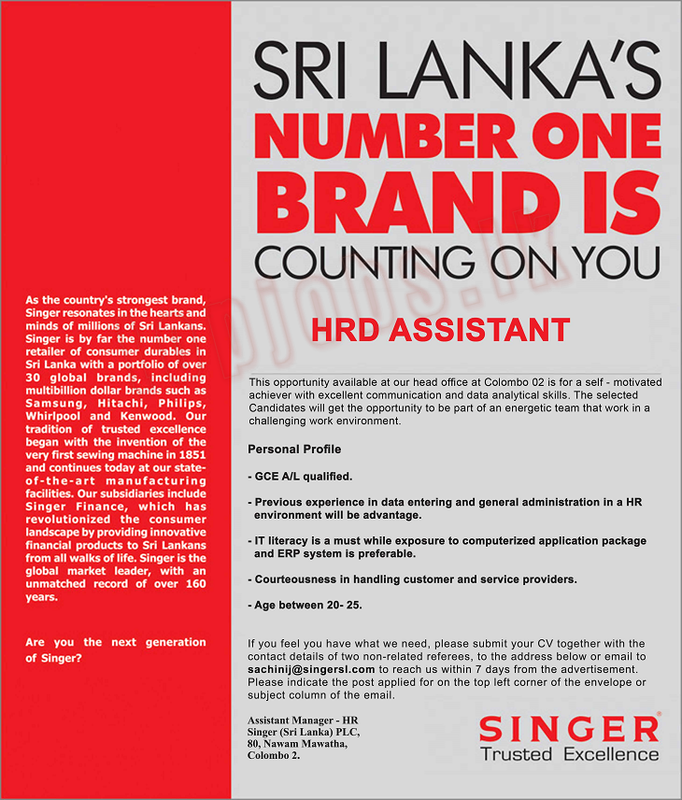 Huawei Technologies Lanka Co (Pvt) Ltd.